The Edward K. Aldag, Jr. Business Plan Competition was created to help students launch and grow their business ideas. Over the course of a day, students pitch their business ideas in front of a panel of judges. The competition consists of two rounds of pitching, with the winners from the first round all competing in the final round for over $100,000 in total prize value. Back again in 2019, there will be a separate track for community competitors. 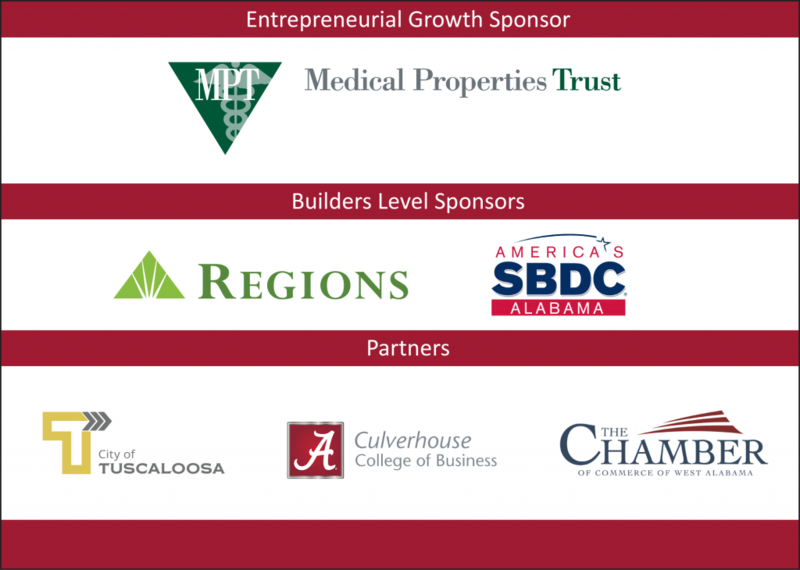 The Alabama Entrepreneurship Institute, in association with The Alabama Small Business Development Center, is hosting this non-student business plan competition with a $5k first place prize, a $3k second place prize and a $2k third place prize. Community winners may also receive free membership at The EDGE and consulting from our partners. Please review this document for a more detailed listing of the available student and community prizes. Think you’ve got a great idea? Use the links below to find out more about the competition and submit your intent to compete. Please refer to this document for the presentation rules and guidelines. If you have any more questions, feel free to reach out to the AEI team and we can give you some more guidance. The entry period for the 2019 Edward K. Aldag, Jr. Business Plan Competition is now open. Please submit your intent to compete and business summary by March 8th. Please note: Entrants may compete in the student competition if at least one student is on the team (in a substantial role such as a founder, not an intern); AND that student is currently enrolled at The University of Alabama, or graduated from The University of Alabama within the past 12 months. If both of these criteria are met, it is okay to have non-student members on the team and still compete in the student track.